Being a member of FLEXSedans is perfect for going to concerts. We can pick you and your family or friends up, drop you at the show and come back to pick you up later for a very affordable price. If you would prefer, for a little more, the driver and car can stay with you for the entire event. Either way, we take the stress of parking and traffic away and let you just enjoy the artist. If your plans involve having a few drinks, FLEX is also a much safer way to get you and your friends home. Here is a list of some concerts and comedy shows coming up in the next few weeks. If you are thinking of attending these or any other show, give us a call at 855-533-3539. We have had fun sharing and interacting with our members on Facebook and Twitter, so it was about time we started to do the same on Instagram. We look forward to it being another outlet for some of the great pics we take and our drivers and customers share with us. 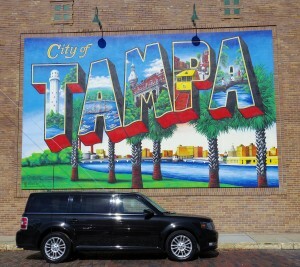 Follow us on IG @FLEXSedans for pictures of us and our drivers around Tampa! We would like to follow you back too and see what our members are up to! If you post a pic at an event that you took a FLEX to, please add #flexsedans so we can find it. We are interested in how you’re using us! As always, you can also follow us on Twitter @855533FLEX and like us on Facebook at Facebook.com/855533FLEX for news, events and specials. We are operating in a new economy that demands fiscal responsibility and emphasizes a need to scrutinize every expense. Now, for about the same cost as a taxi, business owners, corporate executives and even up and coming professionals don’t have to compromise quality and can arrive at important meeting in a luxury appointed FLEXSedan that can fit up to six passengers in complete comfort. FLEXSedans stresses safety, cleanliness, punctuality and comfort. 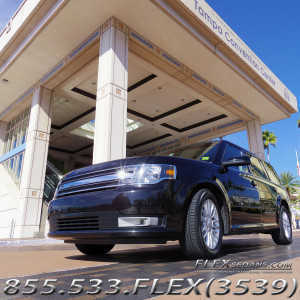 When you are a member of FLEXSedans we act as your own personal car service. We are always available to you with two hours notice. As a member we work for you and at your direction to pick up clients, relatives, co-workers or friends upon your request. Executives conducting important business in our FLEXSedans will want to know that our chauffeurs are background checked and undergo a rigorous training course. We know that confidentiality is important to you and with FLEX, we assure your safety and discretion. 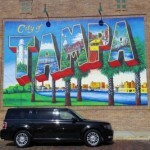 FLEXSedans is happy to serve any business in Tampa, St. Petersburg, Clearwater and the surrounding areas. An individual membership to FLEXSedans may be perfect for your small business. 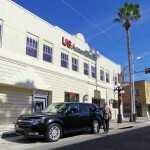 On a larger scale, FLEXSedans Corporate Memberships are available for 20 to 50 executives and employees of larger companies. Please see our Membership Packages Page for pricing details. For more information, if you have any questions or so sign up, please give is a call at 855-533-FLEX(3639) or send us an email at info@FLEXSedans.com. FLEX rates are very simple to calculate. You are charged only for your time in the car unless you ask us to wait for you. There are no hidden fees tacked on to your trip. 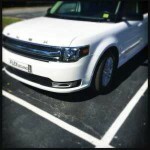 The time you spend in the FLEX is what you pay for. $45 for the first 45 minutes, then after that $15 for each additional 15 minutes spent in the car. We do ask that if you require round trip transportation you schedule both trips at the time of initial booking. $60 for the first 60 minutes, then after that $15 for each additional 15 minutes spent in the car. We do ask that if you require round trip transportation you schedule both trips at the time of initial booking. To enjoy 24/7 access to our fleet of commercially insured, professionally driven vehicles, just give us a call at 855-533-FLEX or send us an email from here. 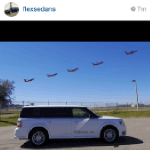 Members can keep their chauffeured FLEXSedan in continuous use for as long as they like. Up to three hours of service is charged at the normal rate of $60.oo/hour. For three or more hours of service, the charge drops to $45.00/hour. The only rules to get the $45 rate are that you give us 24 hours of notice and that the pickup location is in our service area. If interested, give us a call at 855-533-3539 and we can give you more detail and answer any questions you may have about our continuous rate service.